Viviamo! 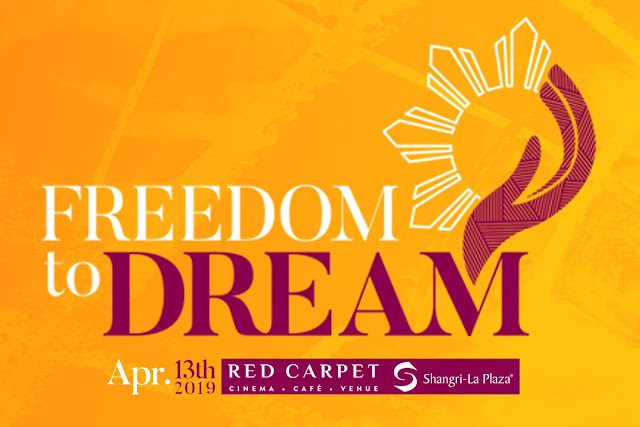 Inc., makers of the Belle de Jour Power Planner, is spearheading the first Freedom to Dream Summit on April 13,2019 at the Red Carpet Cinema, Shangri-La Plaza. The event is meant to inspire and encourage the Filipino youth to discover their dreams, pursue their passions, and make a difference. Is it any wonder why many Filipinos don’t know who they are and what to do next? Darlyn Ty-Nilo, president of Viviamo and creator of Belle de Jour Power Planner, hopes to change this. “We want to take action,” she shares, “by creating positive conversations on dreaming.” Through this initiative, Darlyn and her team hopes to make lasting change among the Filipino youth by giving them the freedom to dream. The Freedom to Dream summit will have three plenary sessions, addressing the barriers that contribute to the lack of dreaming. The first plenary, “Raising Self-Worth,” aims to address the discouraging words spoken against the Filipino youth, and the self-esteem issues that resulted from this. Raising self-worth means having faith in oneself and believing that they are worthy of living the life they want. Participants will hear from Dr. Gia Sison, a mental health advocate who hosts “G Talks,” a talk show in CNN Philippines. Rezza Custodio Soriano, a life coach and “transformologist,” will be one of the speakers on raising one’s self-worth. The second plenary session, “Igniting Your Passion,” will encourage participants to find the purpose and passion that excites them and invite them to have the drive to stand up and persevere despite experiencing day-to-day challenges. The summit is co-presented by The After Six Club and BraveWorks. For more information on the Freedom to Dream 2019 Summit and to purchase tickets, visit http://ilovebdj.com-freedom-to-dream.